Foreign companies seem keen to set up business in special economic zones that come with perks from tax breaks to professional English-speaking managers. 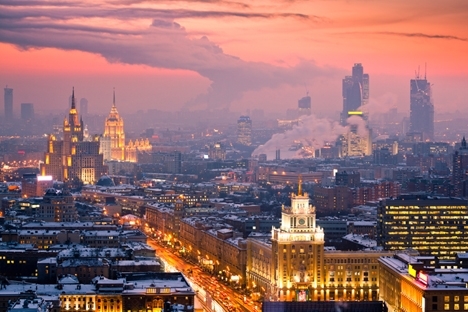 The Russian government continues to struggle to improve the country's business image. At the World Economic Forum in Davos, the Russian Direct Investment Fund announced the launch of a new image campaign entitled "Invest in Russia." The plan to polish the country's reputation will involve a number of the world's top investment banks. The first consultant is already known to be Goldman Sachs, which has been tasked with improving Russia's international image over the next three years. A major priority will be to accelerate the somewhat tardy but already tried-and-tested government initiative to set up Special Economic Zones (SEZ). Launched in their present form only in 2005, Russia’s SEZs now have 57 foreign companies from 21 countries among their residents. In 2012, six US companies came on board. General Motors invested $180 million and 3M (industrial and household consumer goods) $30 million. Nonetheless, the tax incentives alone would have swayed the decision makers: 3M will pay the Russian government 2 percent for the first five years of profit-making operations, instead of the standard 20 percent. And that is not the only privilege on offer at Alabuga: given a minimum investment of €3 million to operate in the zone, the company will be granted a zero rate of VAT and import duties on equipment, which, Denmark's Rockwool, for example, has already used to save $12.6 million. Further economising can be achieved thanks to free power, which in Moscow would cost $1 million per megawatt of capacity. Alongside Alabuga, the management company JSC SEZ controls, with state participation, a further 16 zones, albeit with varying rates of growth. In many respects, the rate of development depends on the specifics and attitude of the local management. In seven years, SEZ has managed to raise foreign investments worth $3.6 billion. The operating areas are divided into four types: industrial production, tourism and recreation, ports and shipping, and technical innovation. As regards the latter, according to the Accounts Chamber of the Russian Federation, 350 patents for inventions have been filed, while the list of residents includes heavyweights like Boeing and Apple. It was initially assumed that by no means would all firms be able to get SEZ status: investment projects had to “enrich the Russian economy with new technologies and develop the competitive and professional competencies of the Russian workforce,” while priority was to be given to projects recognised by the Russian government as nationally significant. In other words, the authorities only wanted to provide incentives to hi-tech companies, although the example of Alabuga, one of the most successful SEZs, indicates the feasibility of accommodating a glass factory or a salad processing plant, some of whose produce is then shipped to McDonald's. Regardless of the type of business, the process for obtaining residency status is the same for everyone. “First of all, a set of documents is drawn up by company staff and examined by the Supervisory Board of the SEZ, after which the business project is either approved or sent back for revision. The next step is the Expert Council of the SEZ, which operates under the Russian Ministry of Economic Development (MoED). Here, the final decision is taken to adopt the project and admit the investor into the SEZ. After that, the investor concludes a tripartite agreement with the MoED and JSC SEZ on the conduct of its business inside the SEZ,” explains former head of JSC SEZ Oleg Kostin, who was replaced in early March by the head of the Kaliningrad branch of JSC SEZ, Mikhail Trushko. The procedure will be simplified in due course. At the very least, it dovetails nicely with the concept to improve Russia's investment climate as a matter of urgency. A presidential decree issued last May states that Russia must be in the top 20 in the Doing Business ranking by 2020, up from its current 112th position. Given the dynamics of the last couple of years (up from 124th), it looks doable.